If Boy were a fictional character, it would be: Sydney Carton from A Tale Of Two Cities. If it were an item of clothing, it would be: a double-breasted, beige jacket. 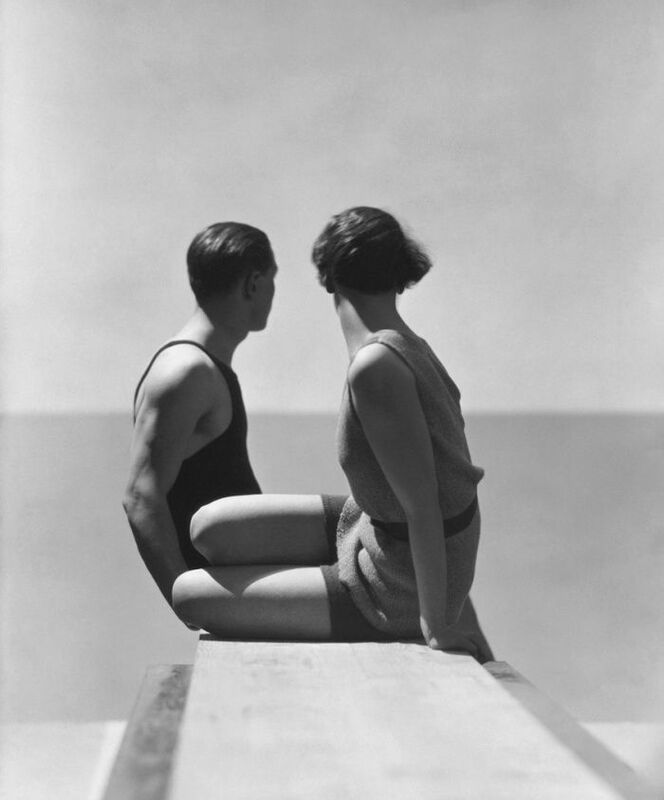 If it were an image, it would be: Bathers (aka Divers) by George Hoyningen-Huene. I get the feeling Olivier Polge is having fun at Chanel. 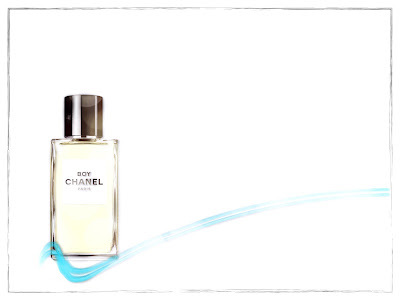 His Eau Vive flanker to Chance fizzed with more exuberance than we'd seen from the brand for a while. And the well-regarded Misia saw him enjoy a carefree romp through violet fields taken straight from perfumery's golden years. His latest creation, Boy - part of the limited-distribution Exclusif range - suggests that he remains in a liberated mode, even if, in terms of its olfactory profile, it isn't anywhere near as attention-grabbing as its predecessors. Please note the subject of today's post is not perfume. Scented service resumes tomorrow with a review of Chanel's new Boy. 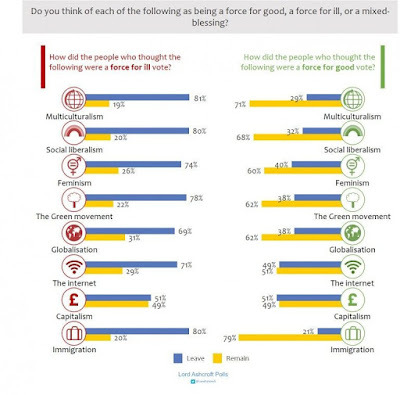 I realise no-one visiting this site during their commute to work or their mid-morning cappuccino break expects to come across views on political matters. I also realise that most of my readers are based outside the UK. However, the events that have taken place in Great Britain over the last few days are so monumental and so far-reaching, that I have allowed myself to publish this very brief post about my reaction to the recent EU Referendum. In the past, several colleagues in the 'critical community' have made similar diversions and written pieces about situations in Paris or Eastern Europe or the USA. I take my cue from their boldness. Please click here to read my latest piece for the Middle East's ParfumPlus magazine, featuring a travel-inspired selection of perfumes for the summer*. You may be interested to learn that this issue of ParfumPlus also contains an interview with Camille Goutal. 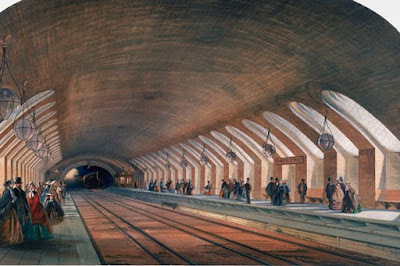 * The article is an amended version of a recent piece which appeared on Persolaise.com; click here to read it. 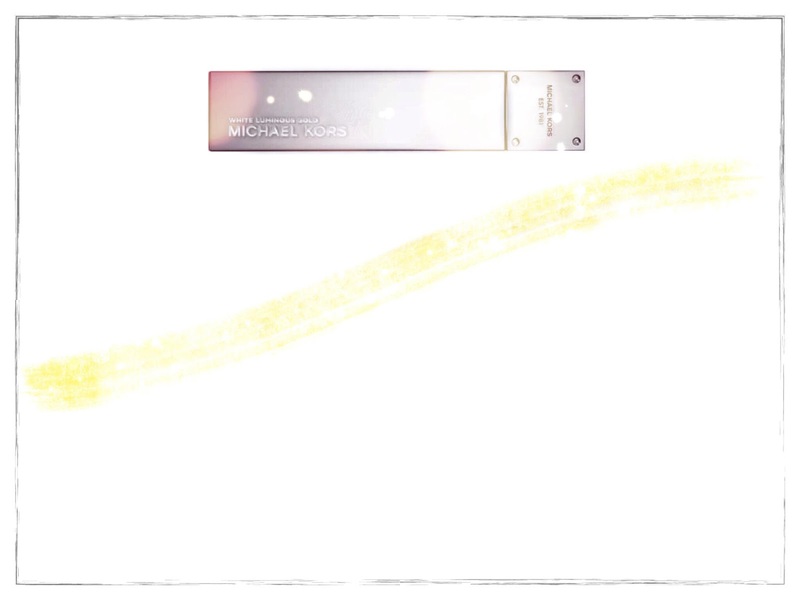 If White Luminous Gold were a colour, it would be an easy-on-the-eye yellow. If it were a texture, it would be the softness of mimosa blossoms. If it were an item of clothing, it would be a wide-brimmed straw hat, ready for the summer. 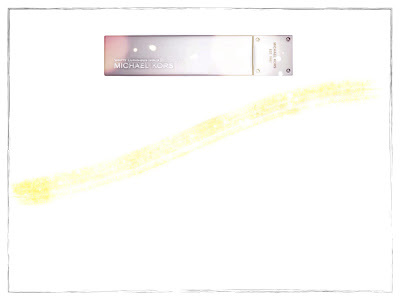 You don't see much written about the Michael Kors scent collection on the blogosphere. But since the beginning of the century, the Lauder-owned brand has been releasing a stream of competent fragrances: largely pleasant, by-the-numbers creations, of the sort beloved by people who buy only one or two bottles per year, usually at a duty free store. Then, a few months ago, they gave us the Gold trio. 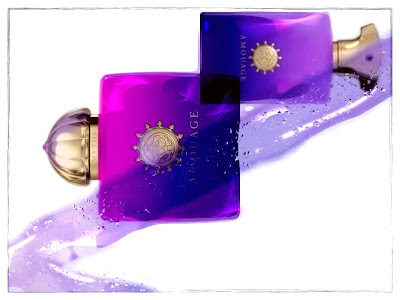 Granted, two of the scents in the set - Rose Radiant Gold and 24K Brilliant Gold - aren't notable for their inventiveness: the former is a relaxed, sunset-cocktail-sipping tuberose/ylang and the latter is a breezy, light-salad-at-lunchtime floral which, if you sniff hard enough, presents a sedate sweet pea facet. However, White Luminous Gold is an altogether more intriguing prospect. Fizzing to life with convincing citrus notes (an allusion to the luminosity in the name?) it then presents a cascade of white chocolate shavings as well as a shimmer of dessert-like green notes before settling on restrained woods and musks. In perfume-geek-speak, it's 'Habit Rouge meets Coromandel meets Dune', with a dash of grapefruit and plum for originality. All of which makes it one of the most welcome fresh orientals we've had for a while. Do seek it out. As it's been almost a year since I posted my all-new London Perfume Shopping Guide, I thought I ought to give it a bit of a plug. 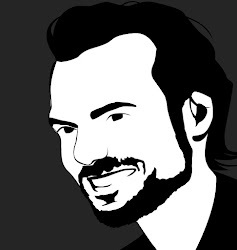 I've been updating it regularly, so please do take a moment to check out its current version (click here). 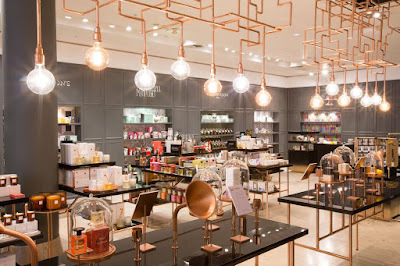 Its most significant recent development is the inclusion of a brand new fragrance and home scent space on the ground floor of Selfridges. It replaces the niche-like counters they had on the lower ground floor (which stocked Diptyque and L'Artisan Parfumeur) and it brings several new brands onto the store's roster, including - surprise surprise - Frederic Malle, which is clearly going through an expansion following its acquisition by Estée Lauder. 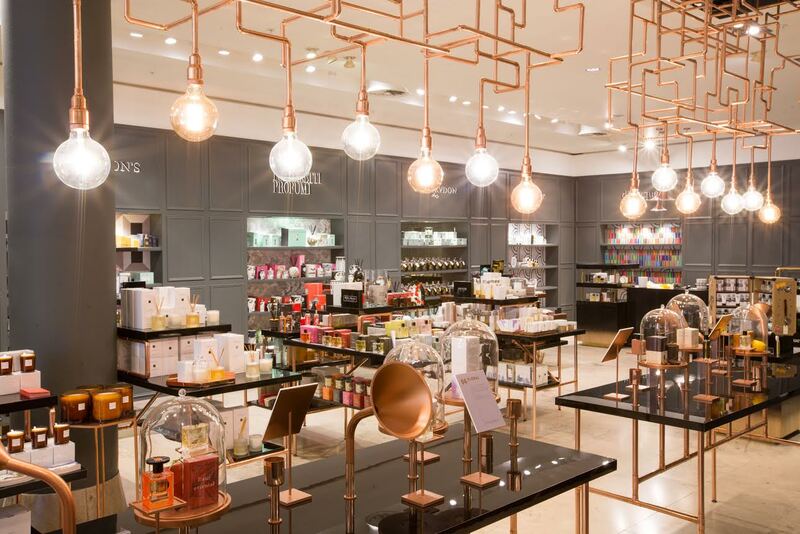 Selfridges have also managed to get nationwide exclusivity for L'Artisan Parfumeur, which means that their London store is now the only place in the city where you can sample the Puig-owned brand's wares and check out their new, rather beautiful packaging. Other names you'll find in this elegant enclosure are: Penhaligon's, Ormonde Jayne, The Fragrance Kitchen, Miller Harris, Cire Trudon and Jusbox.